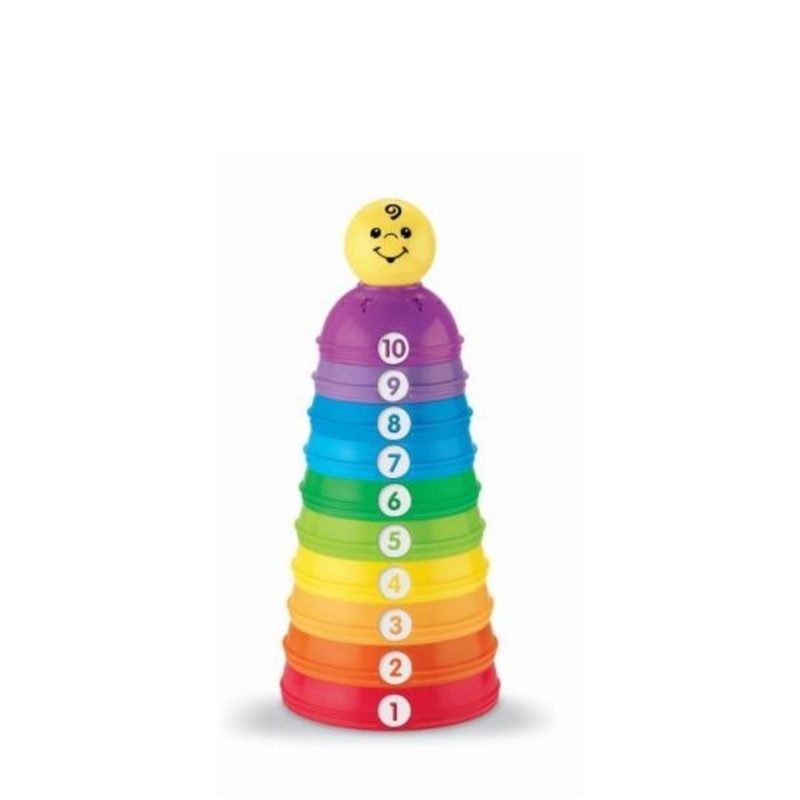 Includes 10 colorful cups to grasp, stack or nest, with grooved surfaces for a snug fit and easy stacking. Different colors, sizes and numbers help build early identification skills. 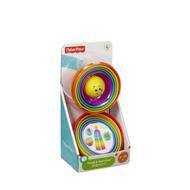 A smiling jingle ball nests inside any cup, or fits on top of a whole stack!